1.6 Billion Muslims About to Enter the Gold Market? The Shariah Standard on Gold could open the world’s gold market to a huge increase in demand from the Muslim community. The Shariah Standard on Gold could open the world’s gold market to a huge increase in demand from the Muslim community. 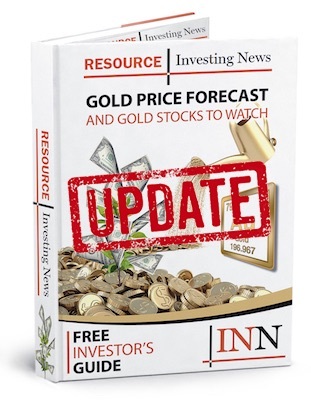 In a statement released by Aram Shishmanian, CEO of the World Gold Council, he said, “this is a ground breaking initiative for Islamic investors and the gold industry at large,” unfortunately the news only slowed the declining gold price. The AAOIFI Shari’ah Standard on Gold can help to solve the growth constraints facing Islamic finance. Gold has a deep and historical connection with Islamic civilisations. However, the complex treatment of gold in Islamic tradition has limited its development as an investable asset class. Gold is one of the six ribawi items alongside silver, wheat, dates, barley and salt. Ribawi items are defined as staple, everyday commodities so stringent transaction rules apply to prevent injustice or inequality between transacting parties. There is also a longstanding debate about whether gold is a currency or a commodity, making the design of consistent Shari’ah rules for modern gold products more difficult. The complexity of Islamic attitudes toward gold products has led to a scattered and fragmented set of rulings. This lack of uniformity is a major impediment to the development of gold financial products in Islamic finance. Creating harmonised and authoritative Shari’ah guidance for gold is imperative therefore, if the asset class is to become more widely accepted by Islamic investors. Recognising this need, the World Gold Council collaborated with the Accounting and Auditing Organisation for Islamic Financial Institutions (AAOIFI) to develop the Shari’ah Standard on Gold (“the Standard”). AAOIFI is the recognised world leader in Islamic finance standards, and its rulings are widely accepted across the majority of Islamic markets. The Standard offers definitive guidance on the use of modern gold financial products in a Shari’ah-compliant manner, opening up a new investment asset class, enabling Islamic banks and other financial institutions to grow their customer bases and facilitating the creation of a broader range of saving, hedging, and diversification products. For a full understanding please check out the new ShariahGold website. This new level of clarity and understanding could open the door to 1.6 billion new consumers of gold and gold related financial products, which is good news for investors in the yellow metal. Don’t forget to follow us @INN_Gold for real-time news updates.